Every year hundreds of hikers suffer exhaustion, hypothermia, require helicopter rescue or die as a result of navigational mishaps. Even if you fancy yourself an expert with a map and compass, however, there’s no harm in having a back-up along for your trip. 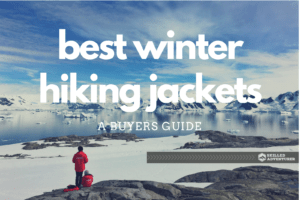 Below, we bring you our selection of the five best handheld GPS hiking devices to help ensure you avoid all of the above and enjoy a safe hike with simplified, stress-free navigation. What are the Advantages and Disadvantages to using a GPS receiver? 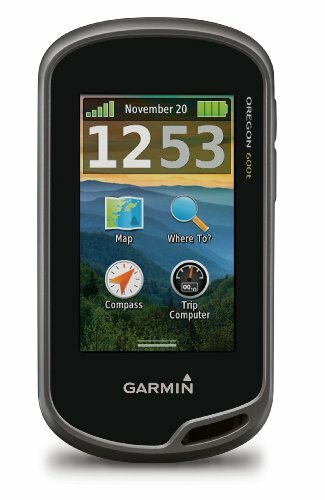 Which is the Best Handheld GPS for Hiking? Before we get down to our review, let’s first take a look at what you should be looking for in a handheld GPS hiking device. How much added bulk and weight are you willing to carry to ensure your safety and to simplify navigation? Most handheld GPS devices weigh in at under 12 oz (with batteries). If you’re splashing out on an expensive piece of kit, however, you want to get the lightest and smallest unit without sacrificing too much in the way of screen size. There’s no point in having an expensive, 6-12oz gadget in your pack if you’re going to struggle reading it! That said, the weight and overall size of your unit is likely to increase along with the screen size. For this reason, a trade-off is often necessary between screen size and unit size and weight. Touchscreen or buttons? There are benefits and drawbacks to both. Touchscreen models are great for speed and efficiency but difficult to operate with gloves. Button models are a touch more cumbersome but easier to use year-round. Features such as an electronic compass, preloaded maps, large storage space, barometer and wireless transmission can all add to the price of your GPS. Deciding which of these is a ‘must’ for your needs will help you choose by a simple process of elimination. Below, we’ve added a brief overview of some of these features and why you might want to have them. All GPS receivers come with a basic base map. Some units also include topographic maps but usually these must be purchased separately and downloaded or added via a microSD card. All GPS manufacturers have a program that allows you to plan routes and manage your collection of maps on your PC/Mac at home. Before buying, check to see if this software requires subscription (as is the case with Magellan units). Undoubtedly the biggest post-purchase expense. Before buying, check the availability of free maps for your device online or the price of third-party maps if these aren’t available. In addition to satellite data, a barometer/altimeter can give you more accuracy when pinpointing your current elevation. Great for determining how far you’ve come in terms of ascent/descent and also assessing incoming weather by barometric data. A very handy feature that tells you what direction you are facing when stationary, as opposed to the standard ‘direction of travel’ feature included in almost all GPS devices. This allows you to triangulate your current position if you’re in doubt and identify other features on your map or in the nearby terrain. The bigger, the better! The more memory your device has, the more maps and waypoints you can store. With most units you can expand your memory with a microSD card. Allows communication with compatible GPS units of the same brand for data-sharing. Rarely a deal-breaker, but a potential weight and bulk-saver if your expectations aren’t too high with regard to quality. Also handy for geotaggers for tracing where each photo was taken. 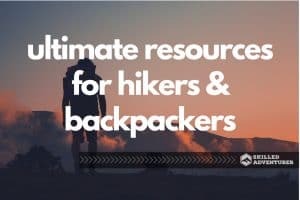 A bit of a 'luxury' add-on, this feature is nevertheless very useful if you want or need to remain in contact with fellow hikers and can help you locate them if either of you happen to get lost or drift apart. Simplified navigation - if you’re out in a gale or on a poorly marked route, a GPS device can save a lot of tricky map work. Accuracy - even the best map and compass users are prone to human error and struggle to match the precision of modern GPS units. Altimeter - useful for cross-checking your location and assessing how far you have come or have to go. Peace of mind - even if you are a die-hard map-lover, having a GPS in your pack will spare you any stress if a gust of wind or downpour deprive you of your map. Connectivity - advanced units allow you to communicate with other GPS users, share data and even be located should anything go wrong. None - provided you always bring a map and compass for backup and know how to use them! As useful as a GPS receiver may be, you should never be totally reliant on it for navigation. Always bring a map and compass and take the time to learn how to use them. Batteries can die and system bugs can pop up unexpectedly, so always be prepared. Read the user manual thoroughly and then practice using your unit in a familiar outdoor environment before heading into the backcountry. This beginner’s guide to using a GPS by Just Trails offers a very handy intro for novices to the world of GPS navigation. For a step-by-step guide on how to use a GPS receiver, this article from trails.com covers just about every base that needs covered! Got all that? Good! Now it’s time to get down to business with our selection of the 5 best GPS for hiking in 2017. If high-end and feature-rich is your thing, Garmin’s ‘full-of-frills’ Monterra might just be the GPS device for you. 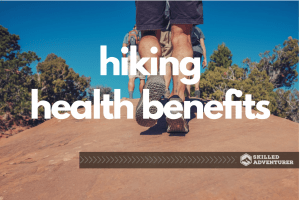 It includes a wealth of high-performing features for the gadget-loving hiker, including an Android OS which allows you to download additional apps, a customizable display, great ease of use, an 8MP camera, 1080p video, 6GB memory, Wi-Fi connectivity and even a radio. On the downside, this is a weightier and bulkier model than many lower priced competitors. If you are looking for top specs, however, and don’t mind carrying a few extra ounces, the Monterra offers a very reliable, high-spec device with superb user-friendliness. 1080p video and 8MP camera. Good enough to leave the camera at home? You decide! Very pricey - all those features, sadly, come at a cost! 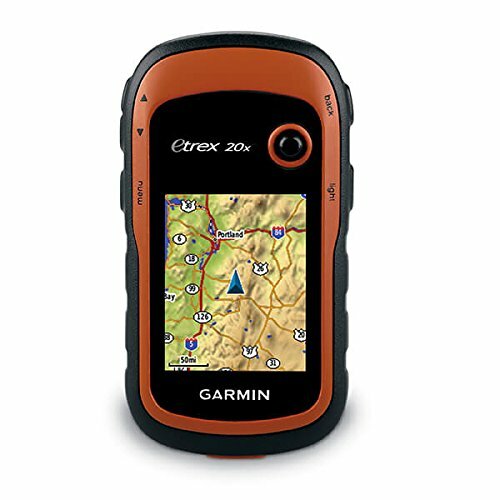 For a low-cost, lightweight and easy-to-use handheld GPS device, you’d be hard pressed to find much better than the eTrex 20x. This unit lacks many of the features available in pricier models, such as a barometric altimeter, touchscreen capability and a 3-axis compass, but packs a fairly high-resolution screen, excellent accuracy and compatibility with custom maps. The biggest downsides to the eTrex 20x are the small screen size and slightly fiddly button-only interface. This sacrifice, however, may well be one worth paying for the friendlier size and weight, awesome battery life, affordability and overall value for money. This mid-range receiver is all about accuracy. The helix antenna might not be to everyone’s taste (it’s a touch pokey and adds to the dimensions), but brings the 64s superior positioning by using both GPS and GLONASS tracking. This locks down your position and updates it quicker and more precisely than most other units in our review. On the downside, the GPSMAP 64s is not as easy to use as either the Monterra or the 600t and is heavier than the eXplorist 710, eTrex 20x and the 600t. 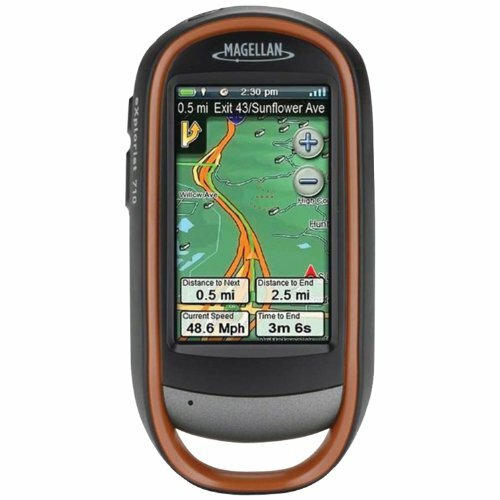 The Magellan eXplorist 710 is one of few GPS receivers that comes close to threatening Garmin’s stronghold on the market. With the exception of connectivity features, the eXplorist 710 ticks all the boxes. It’s light, tough, compact and features a 3 inch touch screen, 3-axis electronic compass, barometric altimeter, 3.2 MP camera and 2D or 3D viewing angles. The biggest downside to this unit is that the software (VantagePoint) requires annual subscription. Factor this add-on into your pricing calculations when weighing up the options! Camera - it might only boast 3.2MP, but it’s better than nothing if the battery on your standard camera runs dry! For minimal thrills and frills but maximum user-friendliness, you might not have to look any further than the Oregon 600t. 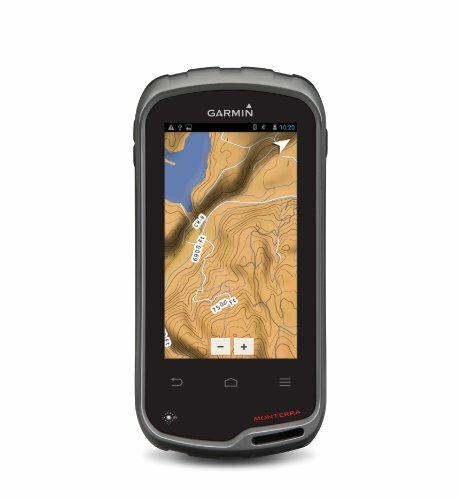 This lightweight, touchscreen unit doesn’t include the camera, video or voice recorder of updated models such as the Oregon 750, but does just about everything else you need a GPS to do at a far better price. The screen is a good size, very bright and clear, easy to navigate and redraws maps as quickly as any competitor out there. There may be fancier models on the market, but in terms of practicality the 600t is hard to beat and much better value for money than other receivers in its price range. The GPS receiver you choose will ultimately depend on your needs and personal preferences. That said, value-for-money is a fairly universal desirable trait. Given this, our review has found the Garmin 600t to be a photo-finish winner of the title of best GPS device for hiking in 2017, just edging out the incredibly reliable GPSMAP 64s and the cheap but wonderfully cheerful eTrex 20x. But what does the Oregon 600t have that its competitors don’t? The best way to answer this question is by focusing on what it doesn’t have - a lofty price-tag! There are cheaper models than the 600t and also pricier models with more features and frills. The eTrex 20x is a great budget option, but lacks the 600t’s snappy interface, large screen and wealth of features. The Monterra and Magellan eXplorist may boast cameras, but few would be willing to pay more than double the price for low-resolution photos and other, non-essential add-ons. 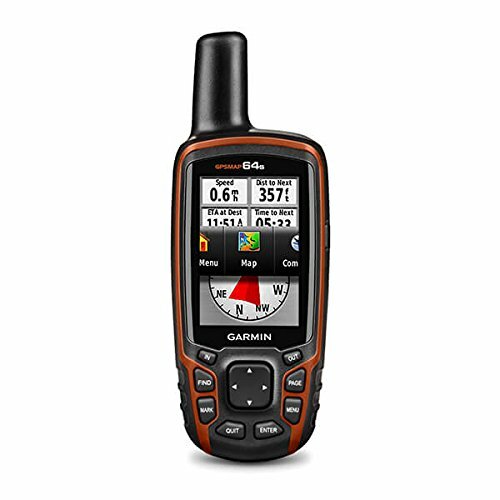 For a reliable, functional and easy-to-use receiver at an affordable price, the Garmin Oregon 600t Is hard to beat!